Enjoy swimming pool maintenance from our experts that will result in many years of enjoyable use. Polar Bear Pool Service, a subsidiary of Blue Champagne Pools, will provide professional-quality upkeep. We stand behind our work and will perform regular maintenance. After building your dream pool, let us take care of it for you for with our weekly maintenance schedule. Please call us for pricing and other details. Blue Champagne Pools includes the first month of maintenance with your new pool. 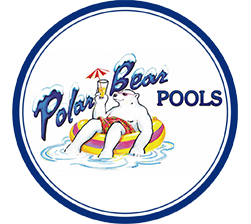 After that, you can continue to properly maintain your pool through our Polar Bear Pool Service.